This is one hell of an exciting day. 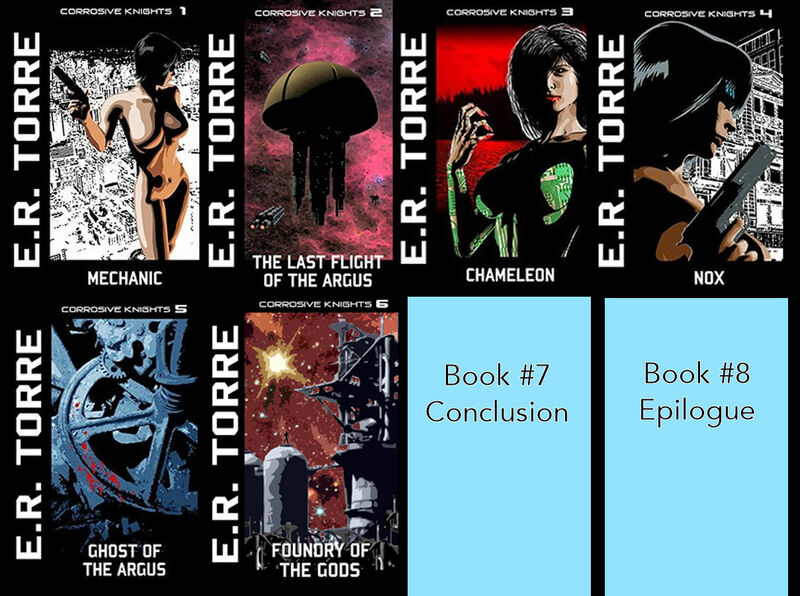 After far too long, I’ve finally, FINALLY finished up the fourth draft of Book #7 in the Corrosive Knights series. This is a very big thing and a huge step forward. The first three drafts of the book were far from complete, missing as they were a lot of elements which I was putting in with each subsequent draft. With Draft #4, I had almost everything put down and almost everything that was left, I hoped, I’d be putting in this draft. While there still remain a few missing elements, they’re minor compared to the big chunks of material added in this draft. I’ve mentioned this before, that there are several stages to writing a book, at least for me. First I have a concept and, often times, I have a strong beginning and end envisioned and I have to then work out the middle sections, connecting everything together in a way that makes sense and, hopefully, is original and entertaining. In the case of Book #7, there was the added work involved in wrapping up all the various plot threads into this conclusion. At certain points I feared the book would prove too long and that I’d have to break it in two. I realized, much to my relief, that I could finish the book without breaking it apart. Nonetheless, the book now runs to 147,148 words over 288 single spaced pages. This is easily the longest of any of my novels, which often ran around 110,000 words, give or take. I’ll print this behemoth out and its on to draft #5. Here’s the thing: I’m now moving from creating new scenarios and scenes and going into revision. At this stage, I’ll be looking into the writing itself and making sure the grammar/spelling is good. I’ll also be streamlining any things that need to be streamlined while expanding whatever requires it. The beauty of this is drafts will be completed far more quickly now that I won’t be as focused on creation of new material. The big question: When will the book be ready? While its impossible to offer a solid release date, suffice it to say today’s completion of Draft #4 brings me a HUGE step closer to getting the whole thing done. I’ve long felt this book could be ready later this year and, so far, there’s no reason to change that (admittedly vague) prediction. Regardless, I’m moving along so for those who are waiting, have just a little more patience… Book #7 will be here before you know it! Back in 1978 and to great fanfare and success the Richard Donner directed, Marlon Brando/Gene Hackman/Christopher Reeve starring Superman was released to theaters. That movie, to my mind, remains the pinnacle of superhero films, even though the effects, miraculous at the time, are pretty dated and not quite so spectacular. 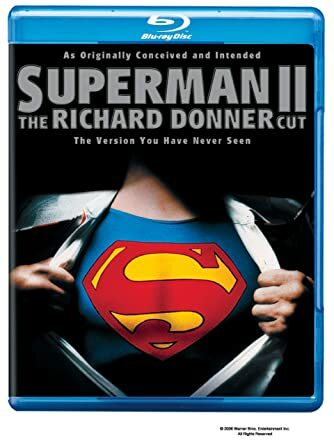 What audiences at that time didn’t know is that the movie’s producers, Ilya and Alexander Salkind, decided to sack Richard Donner even though during the filming of the original Superman he was also filming Superman II. In fact, by the time Mr. Donner was fired, some 60% of that sequel, perhaps a little more, was finished yet the Salkinds nonetheless fired Donner and brought in Richard Lester to finish up. Mr. Lester would receive sole credit for Superman II when it was released to theaters in 1980 despite the fact that a considerable amount of the material in the film was created under the direction of Richard Donner. While a fascinating watch, Superman II: The Richard Donner Cut was a flawed work. The fact of the matter was that Mr. Donner hadn’t finished the film way back when and certain included scenes were audition/practice takes. They worked reasonably well even if they were crude considering the scenes around them. What didn’t work, alas, was the film’s ending, which featured the “going back in time to set things right” climax which was featured in the original Superman. For those who didn’t know, the going back in time thing was originally intended to be used in Superman II but somewhere along the line Donner and company felt it was a better ending for Superman. They wound up using that ending in that movie and figured in time they’d get around to coming up with another ending for Superman II. Because of the firing, that time never came and no new ending was created/conceived by Donner and company for Superman II. Thus, in the Donner Cut of the film, we’re given that ending, despite the fact that it was already used in the original film. As I said above, I feel the Donner Cut is a fascinating watch but ultimately a flawed work. I nonetheless feel it is on par with, and in some cases better, than the Lester version of Superman II. Fast forward to last year and the release of Justice League. The production of that film was a source of considerable tension and gossip. Zack Snyder, the film’s director, seemed a man with a target on his back, given the controversy behind the release of Batman v. Superman: Dawn of Justice. While some people (like me!) enjoyed BvS, there were many, including a large percentage of critics, who slammed the film. Given that Justice League featured Mr. Snyder back in the director’s chair and with DC/Warner Brothers clearly feeling burned by the reviews of BvS (and to some extent Suicide Squad as well), there was a great effort made to show fans that JL would be a better product. However, some 6 or so months before the film’s release, Zack Snyder announced he had stepped down from the production. His daughter committed suicide and he didn’t have the heart, he stated, to continue working on the film. Joss Whedon (Buffy the Vampire Slayer, The Avengers) who had apparently been working on the script of the film, was promoted to director and tasked with finishing it up. As it turned out, Mr. Whedon did extensive re-shoots. When the film was released last year, the critics were a little kinder but Justice League ultimately underperformed. It wasn’t a bust, but considering the amount of money spent on it, Warners was likely not too happy with the end results. Now, before I go any farther: I think this comparison is somewhat unfair. I suspect Whedon was under great pressure to get things done and done quickly and that may be part of the reason why the Whedon “visuals” look so much cheesier. Is there a “Zack Snyder” cut of the film? If there is, will we ever see it? As for the first question, there are rumors that Mr. Snyder had a 3 hour cut of the film made shortly before he left. Before you get too excited about that, there are further rumors that this version was deemed “unwatchable”, though by whom I don’t know. There are also rumors, freshly released, that Mr. Snyder didn’t leave JL voluntarily, despite all that was stated at the time and the tragedy that occurred to him, that he was actually fired. However, that’s all water under the bridge at this point and, like with Mr. Donner’s version of Superman II, we have a not insignificant amount of people out there who are curious to see the Snyder version of JL. This is, of course, assuming that before he left Mr. Snyder did indeed create something approaching a final cut of his version of the film. So, what is the likelihood of this happening? Well, perhaps its due to the fact that the JL film is about to be released to home video but it seems that hints of a possible Zack Snyder cut of the film is starting to percolate into the net. Did Zack Snyder just tease the Justice League Snyder Cut? As Mr. Lafayette points out, a cut thumb. A “Snyder” cut, followed by a picture of Superman? Hmmm… could Mr. Snyder be, subtly if nothing else, teasing the notion that audiences might be getting his version of the film? I have to admit, I’d certainly buy a “Snyder Cut” of the film if it is released. As I said too many times before, I’m a fan of BvS, especially the “Ultimate Cut”, and am very curious to see what Mr. Snyder would do with the Justice League. Understand: I did NOT hate -and in fact enjoyed- the theatrical cut of JL. Having said this, that film was clearly more of a Whedon product versus a Snyder product. Perhaps one day soon, and not 26 years down the road, I might get a chance to see Snyder’s take on Justice League. This past Friday, the 23rd of February, I pick up the local paper, head over to the Weekend section to see what’s up in the world of entertainment and found, as one does, reviews for the films being released that day. Anyho, I read the review, which was positive, and my wife spotted it as well and on Sunday we didn’t have all that much to do in the afternoon so we headed out and saw it. I have to admit, I was somewhat leery. The movie’s directors, John Francis Daley and Jonathan Goldstein, previously directed the 2015 remake/sequel Vacation, a film that wasn’t very well received and fizzled at the box office. Nonetheless, based on that review and the overall very good reviews of the film on rottentomatoes.com, we went. And you know what? The movie was quite good! I mean, it isn’t a “classic” in the realm of, say, Airplane! or the Monty Python films, but it nonetheless is a film that is consistently funny and, as an added bonus, quite clever with several fun twists and turns. Jason Bateman and Rachel McAdams play Max and Annie, a married couple who share an interest in playing games and are damned competitive about it (one of the more humorous lines in the film, found early on, has our protagonists playing Risk with another couple and joining forces to crush the others. When told they can’t join forces while playing Risk, their response, which I won’t give away here, is quite hilarious). Anyway, Max’s brother Brooks (Kyle Chandler, quite good) is in town and, after a game night ends, he invites Max and Annie and their friends to his house where, it turns out, he’s got a “next level” game night planned: He’s hired a company that stages a kidnapping and its up to the players to solve the kidnapping. The winner gets Brooks’ beautiful cherry red Stingray. This part you probably see coming: The staged kidnapping turns out to be a real kidnapping, though the players are, at least at first, blissfully unaware of that fact. I won’t give away anymore of the movie’s plot here but, again, expect more than a few twists and turns. Everyone within the film delivers here. Having said that, special mention has to be made to Jesse Plemons. He plays Max and Annie’s next door neighbor, a creepy police officer who has just divorced and seems to wear his police outfit twenty four hours a day. A great character! In sum, if you want to have a fun time at the cinema and laugh throughout a film (as opposed to some “comedies” that give you a couple of laughs here and there), you could do a lot worse than Game Night. 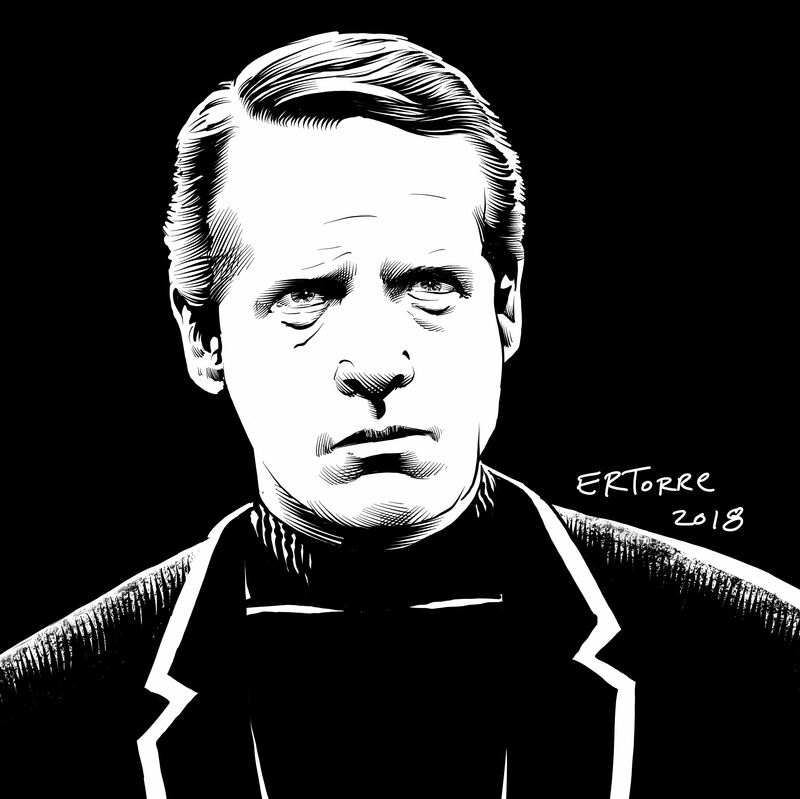 Released between 1967 and 1968, The Prisoner remains, in my opinion and to this day, one of the most ambitious and fascinating TV series ever made. Running a mere 17 episodes, the show featured Patrick McGoohan as the mysterious titular character, a man who is abducted from his flat after forcefully resigning from his job. He awakens to find himself a prisoner on a strange island where everyone has a number -he is assigned #6- and escape appears impossible. Through those 17 episodes #6 fought to free himself both physically and mentally from the forces of the island, and the final episode of the series’ run was met with considerable controversy. Who was #6? Was he a secret agent who simply knew too much? This is certainly possible but, ultimately, #6 is all of us, each trying to find our own escape from the forces that imprison us. If you haven’t caught the series, what in the world are you waiting for?! After yet another school shooting that left 17 students dead, one could be forgiven for thinking that, like the too many others (one already being far, far too many!) that the furor over the student’s deaths and the calls for gun control would, as they have the previous times, work themselves out. As typical, the NRA went silent on twitter following the latest massacre but politicians this time around weren’t being let off the hook as they’ve been before. The (frankly) stupid “thoughts and prayers” issued by these politicians for the victims and their families weren’t being tolerated this time around and pointed questions were finally being asked of them, especially in light of their ties to the NRA. In fact, the exact amount donated to various candidates by this organization was plastered throughout the internet. I’m going to be blunt here: I don’t like Marco Rubio. Just about everything about him rubs me the wrong way, from policies to the way he comports himself. I feel it was good he was dressed down as he was here. Having said that, I will do a quick 180 and give him considerable credit: He, unlike many others, at least showed the hell up to this meeting. Unlike the too-many other pro-gun lawmakers who, in the face of massacre after massacre, offer their already mentioned “thoughts and prayers” and hope the whole thing blows over. So Mr. Rubio: we differ on many things, but I will not only give you credit for showing up, I will thank you for having the guts to do so. Maybe, just maybe, seeing those who suffered from some of the too lax gun laws in this country might, just might, make you change your mind, if only a little. In this one instance at the very least, you did good. Given the above headline, you figure I’m going to talk politics, right? I mean, there’s plenty of stuff to talk about there, right? Every day is a party when your “President” is Trump! 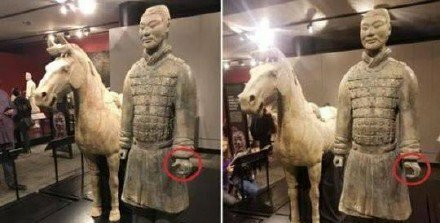 Chinese angry after terracotta warrior’s thumb stolen in U.S. 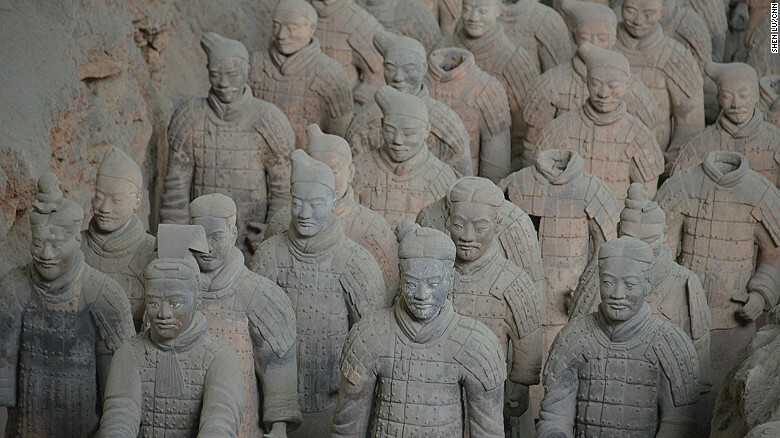 The Chinese loaned Philadelphia’s Franklin Institute a few of their famous terracotta figures (the article is unclear as to how many, but they had at least one warrior and one horse figure). After confronting the vandal, they found two pictures on a cellphone which were taken concurrently when he was around the objects. As you can see, the concurrent pictures show the figure with, then without, a thumb. I have to say, though: This is far from unusual. Go to any historical building, say an arena or fortress, and you’re likely to find graffiti on the walls, some of which might have been made when the structure was in use, some of which was likely made later on. While I don’t do it (hey, some of us pride ourselves on being perfect! 😉 ), there seems to be a perverse need by some to mark up historical landmarks or objects. Hell, its the reason so many priceless items which are on display are protected with glass/plastic. At least they caught the guy who did it and the thumb was returned. I suppose its possible to replace it but clearly the next time the Chinese loan out an object like this one, they’ll insist it be well protected. One of the Winter Olympics sports that is laughed off by many -but not me!- is Curling. As I said, I really like the sport, which people far more eloquent than I have described as “chess on ice”. It is. The sport, which does not demand a very high level of athleticism, except for when you’re sweeping, nonetheless requires a steady hand, a good eye, and plenty of mental skills. They are Anastasia Bryzgalova and Aleksandr Krushelnitckii, a husband and wife team from Russia. They are, if I may say so myself, a very handsome couple. With their looks they could both, IMHO, easily be movie stars. Russian players during the 2018 Winter Olympics are forbidden, because of the current doping scandal enveloping these players, from stating they represent Russia. Instead, they are there are “Olympic Athletes from Russia” and are forbidden, if they win, from having their anthem played or from wearing any clothing which depicts the Russian flag (hence the reason these two above have fairly bland black outfits with equally bland white lettering stating who they are). I have to say, this is something of a heartbreaking story. Again, we’re talking about CURLING here, a sport that really doesn’t require a superb physique or long term physical exertion, which makes me wonder if maybe Mr. Krushelnitckii was perhaps given this drug for some other reason and wasn’t aware it was a banned substance. I know, I know: I could very well be superbly naive about the whole thing, too. From the article, fellow Russian Curler Viktoria Moiseeva, who believes Krushelnitsky is innocent, stated: With us it’s not faster, higher, stronger; it’s about being more accurate. I can’t imagine what kind of drugs you could use in curling … so it’s very hard to believe. Well, there is the sweeping itself and, who knows, maybe Mr. Krushelnitckii had some problem with his shoulder(s) and used the drug to help get over that particular injury. Regardless, its a damn shame. The two were not only a very attractive couple, they were easy to root for as they played their game smoothly and with grace during the times I watched them. 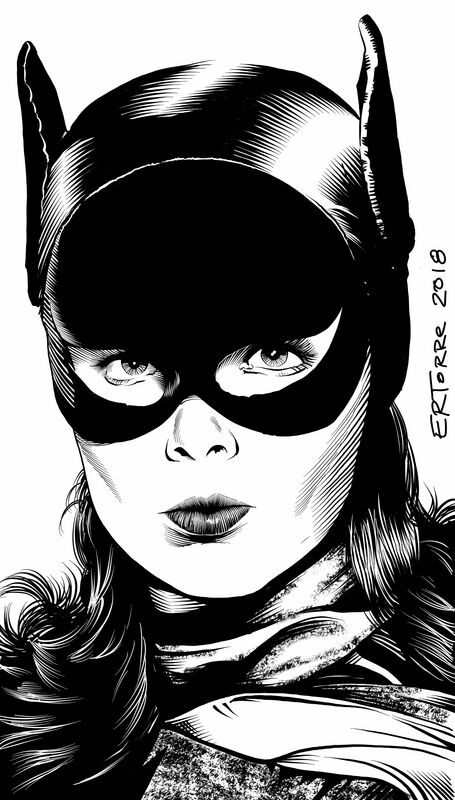 When news came that actor Yvonne Craig passed away in 2015, I admit to being shocked. How could someone that young have passed away? It was an illusion: Mrs. Craig passed away at the age of 78, hopefully after a very full and beautiful life, and my surprise was based on the images I had of her in my mind, frozen as they were in her prime and while she appeared in many TV shows. Her most famous role, of course, was that of Batgirl in the famous Adam West starring Batman TV show. Mrs. Craig would appear in the show’s final 1967 season but, as I mentioned before, she had appeared in many shows and movies before and after, including appearances in the original Star Trek show, The Wild Wild West, The Six Million Dollar Man, and Starsky and Hutch, among many others. But she had a role, way back in 1958, in the TV show Perry Mason that always intrigued me. It was the 35th (!!!) episode of the show’s first season and titled The Case of the Lazy Lover and the reason it intrigues me is that not only was Mrs. Craig in the episode, but so too was Neil Hamilton, who would subsequently appear as, yes, Commissioner Gordon in the Batman TV show! I know, I know, perhaps not as big a deal as William Shatner and Leonard Nimoy appearing together in The Man From U.N.C.L.E.’s 1964 episode The Project Strigas Affair a few years before they played Captain Kirk and Mr. Spock in Star Trek, but I’ve always enjoyed the coincidence. I’ve already posted about early reactions to Black Panther, the latest Marvel movie and noted how those early reactions were quite positive. Welp, the movie is being released today and, if you go by the overall ratings presented on rottentomatoes.com, it would appear that critics are also falling head over heels for this film (you can see those overall ratings for Black Panther here). Interestingly, or perhaps not, while a whopping 98% of critics have expressed positive feelings for the film, the audience reactions are a little less, at this point being in the still positive range of 77%. Here’s the thing: It’s becoming clear that there are some people out there who are purposely trying to bring certain films down. Apparently, some of them belong to the “alt-right”, a group that I don’t really want to waste too much time typing about. There were rumors that this started with Star Wars: The Last Jedi, that some of the audience reactions were from people who simply wanted to bring the movie down. I suspect there were elements there who did this, but given what I’ve read around the ‘net, TLJ was a film that some very much loved but which many others… did not. How much of the film’s audience reaction, which over on rottentomatoes.com currently sits at a mediocre 48% positive, is attributable to the malcontents determined to bring something down is difficult to gauge but, again and based on my reading many people’s reactions to the film (positive and negative), I do believe there is a sizeable contingent of people who legitimately didn’t like it. As for Black Panther, I’ve already noted before that I’m not all that interested in seeing this movie and suspect I won’t catch it until it hits either home video or some premium cable channel (like I did with Spider-Man: Homecoming). Having said that, I have no reason whatsoever to believe the “pro” critics and early fan reactions are incorrect. Quite the contrary: I firmly believe these positive opinions and, further, absolutely believe Black Panther is a good, perhaps even excellent, film. Here’s the thing: As big a fan of comic books as I am, I’m becoming distressingly fatigued by this seemingly endless procession of comic book films. Worse, I just don’t have the time like I used to to see films in general and, obviously, this includes superhero films specifically. By necessity I’ve become choosy about where I spend my increasingly limited free time and, until something changes, that’s the way it is. Sometimes, sadly, there can be too much of a good thing.